Your sponsorship contribution will be donated to the Canadian Red Cross. 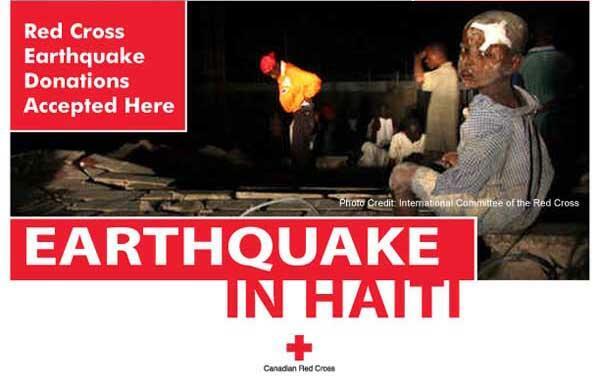 The Red Cross organization will be directed to send you your sponsors’ salute state tax credit receipts to whom have sponsored for the Haiti Benefit event 2010. *Your donation is tax credited, and it will be confirmed by the Canadian Red cross for your name or your business name for tax credit purposes. * Your business name, logo and telephone number will be prominently displayed on the Salutation list the day of the event for the general public’s recognition. * And the 8 tickets guests of honor for the Haiti Benefit Music Concert on Sunday Aug 15th, 2010. * Your donation is tax credited, and it will be confirmed by the Canadian Red cross for your name or your business name for tax credit purposes. Or if you simply just want to support the earthquake victims in Haiti, by acting today and buy the tickets because help can’t wait!